If you are currently following via Google Friend Connect, rumor has it that after February 29, 2012, it will no longer be available to non-Blogger sites and will eventually be phased out all together. Linky Followers is a new tool available for those that are currently following via Google Friend Connect. It's very easy to sign up and you follow your favorite sites just as you did before. One thing I like about Linky Followers is that you can set categories for the sites that you follow. Click below or in the right side bar to follow Indiana Inker via Linky Followers. Don't forget you can also follow via Facebook , Twitter, Pinterest or email subscription. Came by from the blog hop and followed you on Linky! Would love a follow back, please. Thanks so much! Visiting from the Linky Blog Hop! 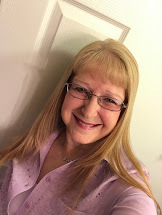 I hope you’ll stop by – www.laughterandgrace.com – and follow me! Happy to be your newest linky follower! Can't wait to come back and visit soon and learn so much from your craftiness! We think you'd love See Beautiful too! Hi! I am visiting through the linky blog hop. I'm now a follower. My mother-n-law loves Stampin Up! I have been enjoying playing with all of her stamps. You have so many great ideas! Hope you will visit and follow back. Thanks!